Here at Daily MTG, we use the last two weeks of each year to bring back our favorite articles from the year and give our writers (and staff!) a break for the holidays. If you're a regular reader, you know that our website tells you all kinds of things about what we do to make Magic, from design to development to Constructed playtesting to world building to art concepting to sketch tweaking to flavor text writing to... you get the idea. In this article, senior brand manager and moonlight designer/developer Mark Purvis does one better: He follows one card—Tariel, the Reckoner—through the ENTIRE process, from initial design, through development and creative, and all the way to being localized into various languages, physically printed, stuck in a box, and shipped to your local store. Along the way, he shares all kinds of interesting stuff about how Tariel and the rest of the Magic: The Gathering Commander cards came to be. DailyMTG.com will be back with all-new content starting Monday, January 2—our tenth anniversary!—and Dark Ascension previews kick into gear on the following Monday, January 9. The Commander format is amazing. It's done some things that few other formats have ever done—not only did it spring from the fan community, but it creates fan communities as well, all over the world. Over Memorial Day weekend, I whisked my family away from Seattle to an entirely different country on vacation, and while we were shopping in a local market, a hip little collectibles shop called "Big Pete's" caught my eye. We popped in to take a peek, and lo and behold, there was a game of Commander being played in the center of the store. I got a chance to talk to some of the players, and it sounded like there was a great community of Magic players there who get together once a month to hang out with friends and play Commander. Now, granted, the entirely different country was Canada, and beautiful Vancouver is only about four hours from the Wizards of the Coast offices, but we know that Commander communities are thriving around the world. Wizards of the Coast put a lot of work into making the Magic: The Gathering Commander decks to help support those communities, but I wonder if Magic players in these communities knew just how many people are involved in making the cards for this new set. You may be wondering who the cuss I am and what any of this has to do with designing Magic cards. Normally, I'm the Magic Brand Manager, and my job is primarily focused on the business side of product development. But I was also tapped to design Magic cards for the Commander format. Magic: The Gathering Commander was my first design team, although I had been on two previous development teams (Scars of Mirrodin and the Planechase "Zombie Empire" deck). As regular readers of Daily MTG know, R&D usually brings in someone from outside the R&D pit to put a fresh perspective on putting together a set. 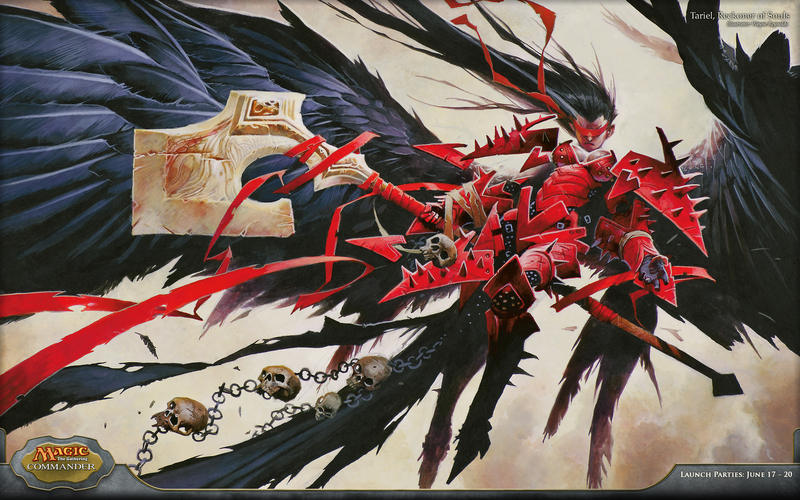 Magic: The Gathering Commander was a special project, and there were two outsiders on the team. I was one of them; the other was Commander expert and Organized Play Manager Scott Larabee. Now, I actually am one of those aforementioned regular readers of Daily MTG. I always love the articles where designers and developers talk about the process of creating cards, but after I got to Wizards of the Coast and started working on product development, I realized that designing and developing a card is just the tip of the iceberg when it comes to actually creating it. Design and development articles usually cover the creation of a card from the idea in a designer's head, talk a little bit about development changes, and then skip straight to the fully formed and final card. We may be Wizards, and we are definitely working with Magic, but that's not exactly the whole process. I'm going to give you a peak behind the curtain of that process today, and let you have a more complete picture of what goes in to making that piece of paper that you can use to lead your army into battle. I'll start the story of Tariel where these articles usually begin: in design. This design was a long process, and for the first few weeks I floundered, searching for my deck's theme. I knew what my three "wedge" colors were and that Oros, the Avenger was my legendary Dragon, but there are a lot of directions you can take with white-black-red, and Oros's ability isn't an easy one to effectively build around for multiplayer games. I learned a lot in the early stages of design, even though most of my work was ultimately thrown out. (This is not unusual in Magic design.) Eventually I settled in on a theme that I loved, centered on big flying monsters: Angels, Demons, and Dragons. For the secondary wedge commander, I was inspired by the idea of an archangel with power over life and death, an area of strong overlap between white and black. For the expression of red mana in her ability, I looked for ways to incorporate randomness. The chaos of this particular randomness can be tamed somewhat by aiming it at someone with few creatures in their graveyard (or just one), but there will be times where her ability will create a "game within the game," an exciting moment where picking the "right" card in a graveyard can make or break your game. Magic cards that set up exciting moments like this have always been my favorites. In their most primitive form, Magic cards can begin life as Tariel did—as scribbles on a Magic "blank." Blanks are cards used by R&D that have Magic backs, but plain white fronts. Usually tons of ideas are brought to the design team by the group, and the gems are plucked out and put in a digital card file. But because Tariel was conceived relatively late in design (when we were already playtesting our decks against each other), one day I put pen to blank, created "Archon of Life and Death," and sleeved her up for battle with my fellow designers. She turned out to be a powerful commander and created many fun play situations when she hit the table in our design playtests. Ken put her into the design file, and she made it all the way through to the handoff to development. Our handoff to the development team was a momentous occasion. It is a little like sending your kids off to their first day of school—you know that at the end of the process they're going to change, but you also know that ultimately that change is going to be for the better. During development, Tariel had her numbers tweaked and balanced. Mana cost and power/toughness are not something that design teams focus a lot of time on—that's the job of development. Lead Designer Ken Nagle did advise us, however, to steer us away from making giant beaters with the same stats as our Dragon legends, and next to Oros my original design stats for Tariel are pretty ridiculous. She also had her ability switched to targeting opponents, not just any player. Below is an image of the development playtest card, which has quite a bit more info than my blank. At this point, a card is still just a scaffolding—bones and muscle that need skin, wings, and feathers. That job goes to R&D's creative team, led by Brady Dommermuth. As new cards become stable in development, Brady's team gets to work giving them an identity. Brady put placeholder names down for each card—you can even see in the development playtest card above that "Archangel of Life and Death" is crossed out, and "Shariel, Reckoner of Souls" is written in pen below it. I had already shortened it from "Archon of Life and Death," and it’s not unusual for a card's placeholder name to change several times during the design and development process. 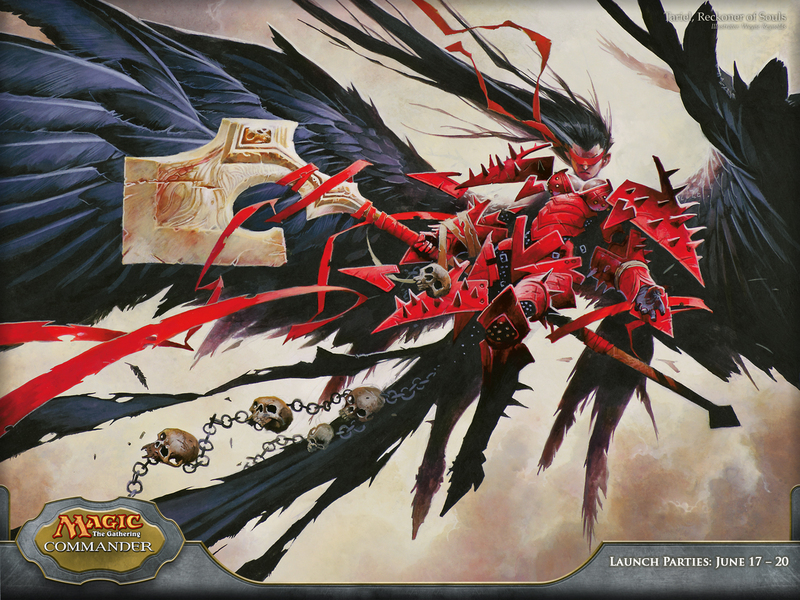 Action: Show a beautiful but fearsome angel of war. Her eyes are covered with a blindfold, her mouth is stern, and her feathered wings are spread impressively. Her armor is black and red battle armor, and she holds a huge war-axe. Magic Art director Jeremy Jarvis chose artist Wayne Reynolds to create Tariel's look. Wayne Reynolds is one of the most renowned artist in fantasy gaming and has been making memorable Magic cards for many years (among my favorites are Ajani Vengeant, Ashling the Pilgrim, and Ink-Eyes, Servant of Oni). The process of painting a piece of card art is a long one, and in that time Wayne did an amazing job of giving Tariel personality and identity. He also did something that we rarely see: he painted her image out beyond the card frame. Here's a snapshot of the original painting. You can see much more of her wings and hair than you'll see on the card itself. Wayne also plugged in quite a bit of detail that you can see more easily in the original art. For example, there is a skull inlaid into her battle axe—something you might otherwise miss at three inches by two. While the art was being completed, other members of the creative team worked on finalizing a name and coming up with her flavor text. 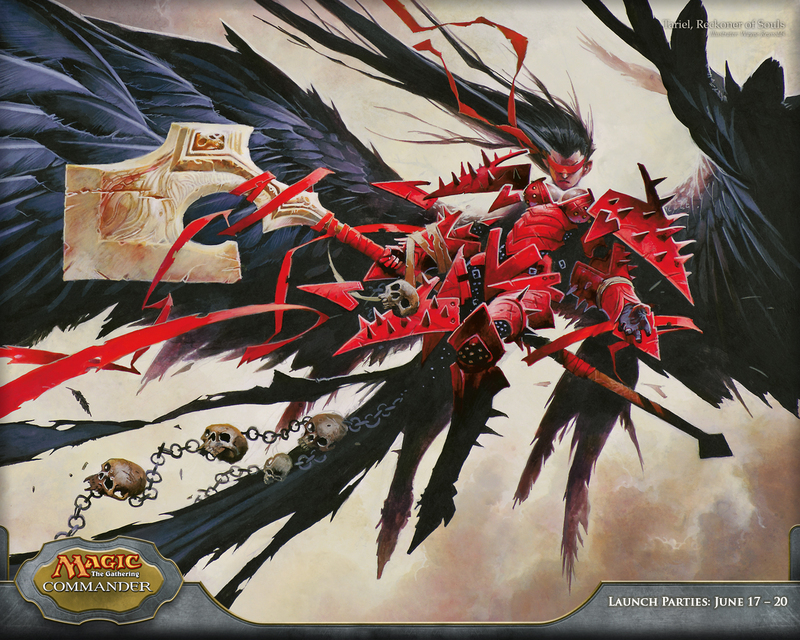 Savor the Flavor author Doug Beyer and fellow creative writer Adam Lee worked on the creative writing for new cards in the Magic: The Gathering Commander set, and Doug was ultimately responsible for the change from Shariel to Tariel. "We wanted a name with a classic angel feel but with a little sting to it," Doug says. "'Shariel' was too soft, 'Sariel' was problematic in that it was an actual angel's name in the Judaic tradition, and 'Tariel' had the right balance of hardness and angel-ness." He also mentioned that Tariel is quoted in the flavor text of another Magic: The Gathering Commander card: "Body and spirit are sworn enemies. They will take any excuse to be rid of each other." Have fun finding that card in the set when it comes out! From here, a card is still far from halfway home. While the creative team starts giving Tariel a form, development is wrapping things up and a team of editors in R&D are finalizing the card text. It is our editing team's job to make sure that a card does what it is supposed to, and that it's clear to players exactly how it works. While card text is being localized, the English card files are turned over to a Graphic Production Specialist who starts building the digital card files. It should surprise none of you that Magic card files are transferred to our printer digitally, although this was not always the case. Once the printer has the files, they print a test sheet of the card file and send it to Wizards of the Coast for proofing and approval. A team of proofers gets to work quickly making sure that the card files are correct and the card colors look good. These folks are amazing—they look over every card to make sure that it looks exactly how we want it to. Project Manager Jane Flohrschutz is one of the folks who inspects proofing sheets for errors. Magic: The Gathering Commander was printed by a company called Carta Mundi. Carta Mundi is one of the premier print facilities in the world for games, and they are actually the same company that printed the very first Magic cards in 1993. Eighteen years later they're still making Magic cards, and I travelled to one of their facilities in the US to watch Tariel and the rest of the Magic: The Gathering Commander cards take physical form. The Carta Mundi facility is an amazing, high-tech facility. Magic cards are printed onto sheets in a room the size of several football fields on a printing press that is longer than two city buses! Only half of the printing press where Tariel was born fit in this photo. It's the giant blue thing on the bottom right. The different languages of cards and the five different decks are carefully segregated throughout the entire process, and teams of Carta Mundi employees are constantly checking to make sure that there aren't mistakes, like Japanese decks going into English boxes, or "Heavenly Inferno" decks going into "Mirror Mastery" deck boxes. Even at this stage, the deck components are segregated. This is just some of the English printing of the Heavenly Inferno deck. For special projects like this, Wizards of the Coast often has our Manager of Product Engineering, David Stevens, present in person to inspect the first of the final printed decks. If there are any mistakes, it's best to catch them at this point, and not after they're all done! I've seen David catch errors that couldn't even be seen by most humans without the aid of a jeweler's loupe. The number of mistakes on Magic cards of all languages has gone way down since David began working at Wizards of the Coast. He's one of the unsung heroes of getting awesome products made, and we're lucky to have him. David Stevens inspects the first Japanese Heavenly Inferno decks to roll off the line. From here, you might think the story is finally over, but that's still not quite the case. After the decks are finished, they are sent to Wizards of the Coast shipping facilities around the world. Magic is a global brand, printed in ten different languages, and we believe it is very important for players around the world to be able to buy new cards on the same day. A lot of effort goes in to making sure that players in Moscow, Shanghai, and Vancouver will all get their Magic: The Gathering Commander decks on June 17. 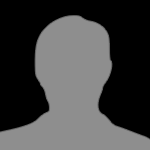 Craig Jones is the Director of Warehouse Operations at Wizards of the Coast in the US. This is the last point in the process, the point when Tariel leaves our care and goes out in to the world. Tariel's story with Wizards of the Coast ends here, but a new phase will begin for her in just a few more days. 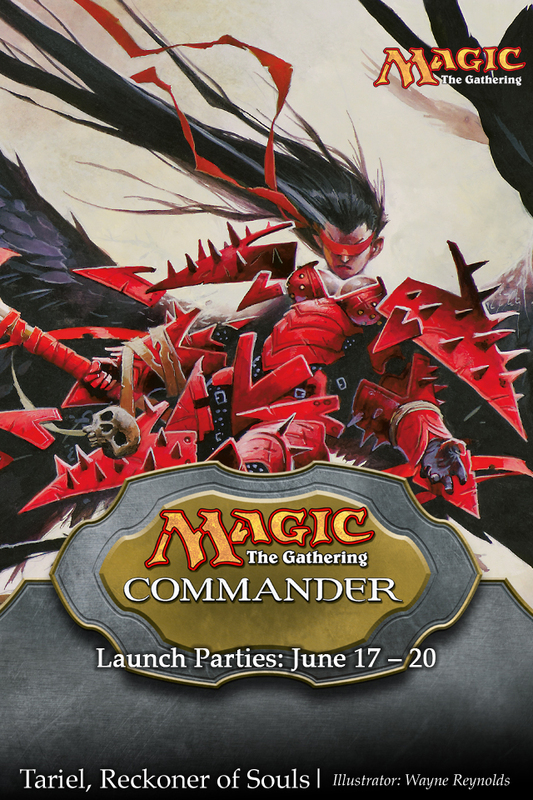 Starting June 17, the larger Commander community gets to take charge of her destiny. What decks will you build around her? What epic tales will her exploits create? I can't wait to see how you use this new commander, and what her role will be!